WebPath Express is a great tool to use when seaching for information on web pages. Webpath Express analyzes web pages identifying pages that are student friendly and reliable (RADCAB process). 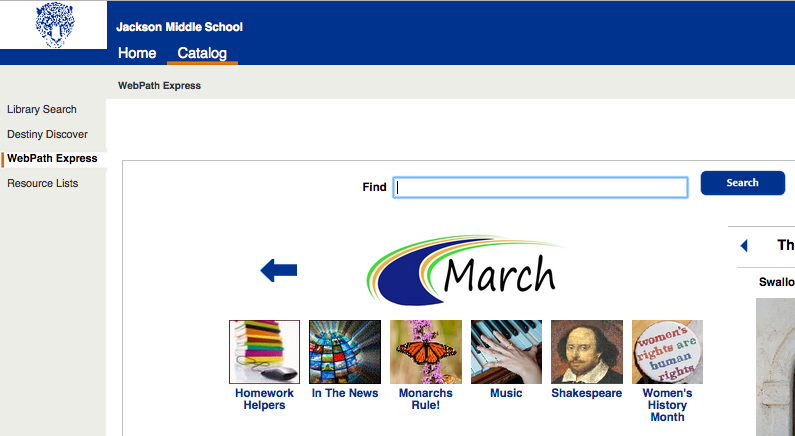 Click the icon below to go to the JMS Card Catalog and then click the Catalog tab. The WebPath Express link will be on the left side. Click it and enter a search.